FIFA 18 guide, including how to score lots of goals, how to defend, FIFA 18 The Journey: Hunter Returns Walkthrough (including all player choices in The Journey), quick subs, skill moves and five-star players, goal celebrations, and more in FIFA 18 on PS4, Xbox One, PC, and Switch. Best FIFA 18 attacking formations and how to dominate opponents. Defending in FIFA 18 is tricky. 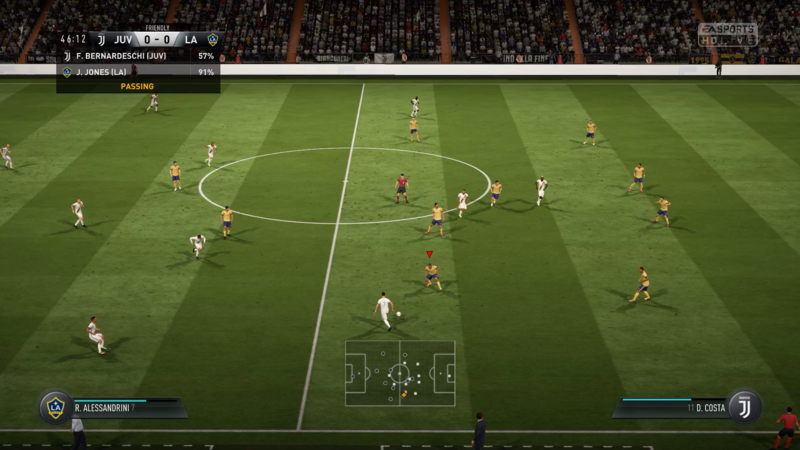 With each new version of FIFA come a series of tweaks, changes and additions that need to be learned. In this FIFA 18 Defending guide we’ll teach you how to defend and tackle in FIFA 18. If you’re struggle to break down attacks or finding that your real life opponents are running circles around you, don’t worry. Follow this FIFA 18 guide to how to defend and tackle and you’ll soon have a defense that shuts the opposition out completely. Learn all the FIFA 18 defending tips and tricks below and you'll be a step closer to becoming the next Rio Ferdinand. For more FIFA 18 tips that aren't all about how to defend or tackle, check out our FIFA 18 guide - Tips and Tricks hub. It’s full of useful info so you can learn who the best players in FIFA 18 are and become better at playing FIFA 18. 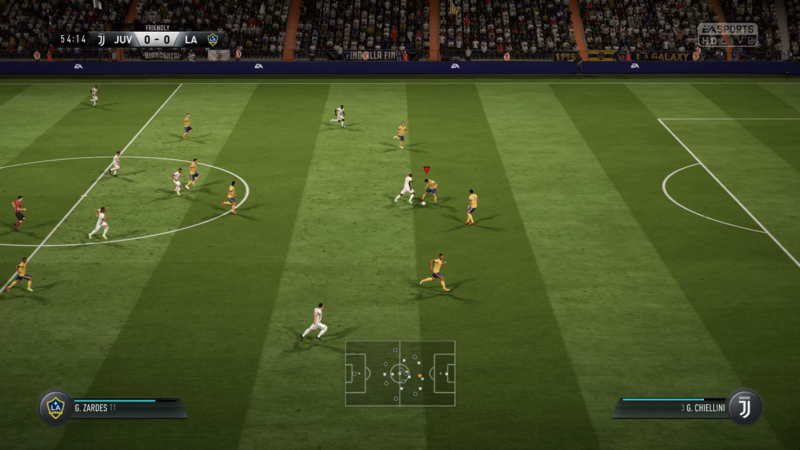 Below we’ve broken down defending and tackling in FIFA 18 into a number of areas and delivered some key tips that should help you regain possession and prevent your opponent from scoring too many goals. Read on for a complete guide on how to defend in FIFA 18 and stop attackers from scoring. Having played a lot of FIFA 18 after EA deployed the first patch, that made tweaks to goalkeepers and shooting, we've found that defending remains more or less as it was. As such the defending tips and tricks we've listed below are still the best way to break down attacks and stop strikers from getting in on goal. If you’re struggling to defend in FIFA 18 and finding yourself on the end of multi-goal thrashings, chances are you’re being over eager with the tackle button. Firstly, do not perform a slide tackle unless you have no other choice. More times than not you’ll fail and that player will be on the floor while the attack continues. Secondly, repeatedly tapping the tackle button isn’t a good tactic. As soon as you press the tackle button your defender will either win the ball or leave himself out of the game for a second. Make sure you’re pretty confident you’ll make the tackle before committing to it. Hold the contain button to get close to the attacker, and only commit to a tackle when have to. This more or less means you need to sort out your positioning. To get good at making vital tackles and getting back control of the ball you need to learn to predict where the ball is going to go. There’s no point completely selling yourself with a kick of a leg, when the ball has already moved before your player makes the tackle animation. Often you can win the ball back without even making a tackle, simply because you got into the right position. This is probably the most obvious statement of all time if you are into football in real life, but it’s worth remembering: do not drag all your defenders out of position. While playing FIFA 18 it’s easy to go looking for the ball. Don’t do this. By all means use a defender to step forward and take control of a loose ball (see player switching, below), but don’t repeatedly take defenders out of their formation to try and make a tackle. It’s tempting to switch from one defender to the next, each time charging at the attacker, but this will result in huge gaps appearing at the back that an average player can easily exploit. Learning to use the right stick to switch between your in-control player might not sound like a great way to improve your defending in FIFA 18, but quickly gaining control over the player you want to put pressure on the attacker is essential. By pressing the change player button you take control of the player nearest to the ball, but by flicking the right stick on the controller you can take control of anyone you point to. By using the right stick to change players you can quickly switch to a player who can cover a through ball, for example, where if you’d used the player change button you simply wouldn’t have been able to gain control of that player. The right stick switching can also be very useful when used in combination with the second player press (the game calls this ‘contain’). By holding R1/RT you can call a second player to put pressure on the attacker - sometimes even dispossessing them. The advanced move here is to use the right stick to select your under control player who can then be moved into a position to try and intercept a pass from the hassled attacker. Using the right stick to switch players takes a lot of practice to get used to and even longer to perfect, but stick to it and it’ll make a massive difference to your ability to defend and create chances on the counter. Sprinting to catch up with an attacker is fine, but sprinting while trying to tackle is a bad idea. Try to remain in front of the attacker and avoid sprinting so you can make more precise movements and change direction quicker. If you’re sprinting, an attacker can change direction and leave you in the dust. Elsewhere we’ve got guides to the best players in FIFA 18, the best young players in FIFA 18, the best hidden gems in FIFA 18, and how to defend or score lots of goals in FIFA 18. FIFA 18 World Cup Mode - What Teams and Game Modes are in FIFA 18 World Cup 2018 Update?